“Sport has the power to change the world; it has the power to inspire, the power to unite people in a way that little else does”, used to say Nelson Mandela, whose commitment against South African apartheid and any form of inequalities will always be remembered. As a natural outgrowth of that belief, the UN General Assembly based in New York conceived in 2013 a special celebration marking off the yearly calendar: the 6th April has been declared as the International Day of Sport for Development and Peace (IDSDP). 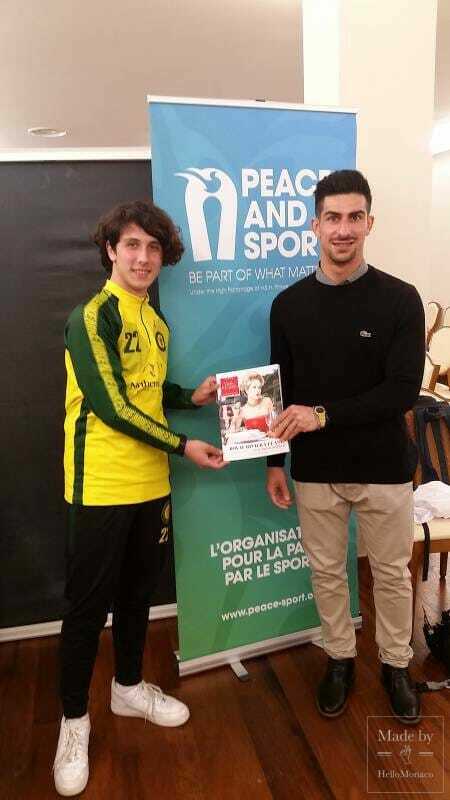 On 2014, Peace and Sport, an international independent organization based in the Principality to promote worldwide solidarity through sporting activities, under the auspices of H.S.H. 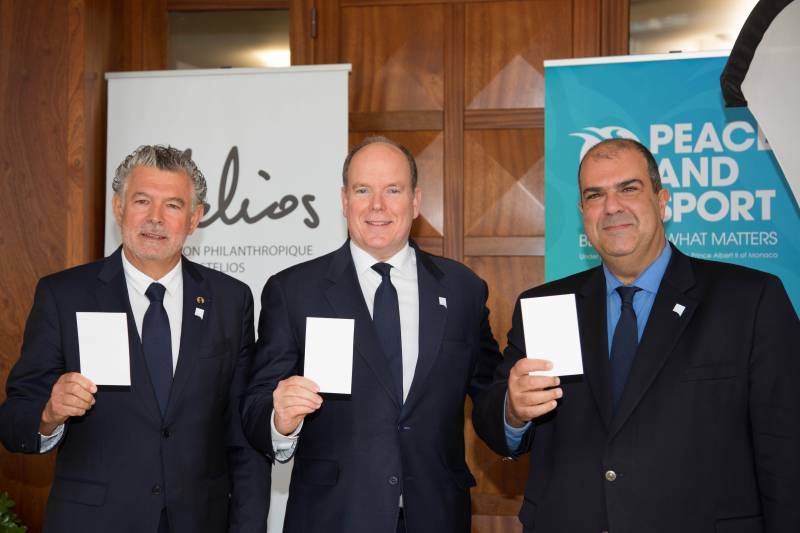 Prince Albert II of Monaco, launched the #WhiteCard digital campaign. 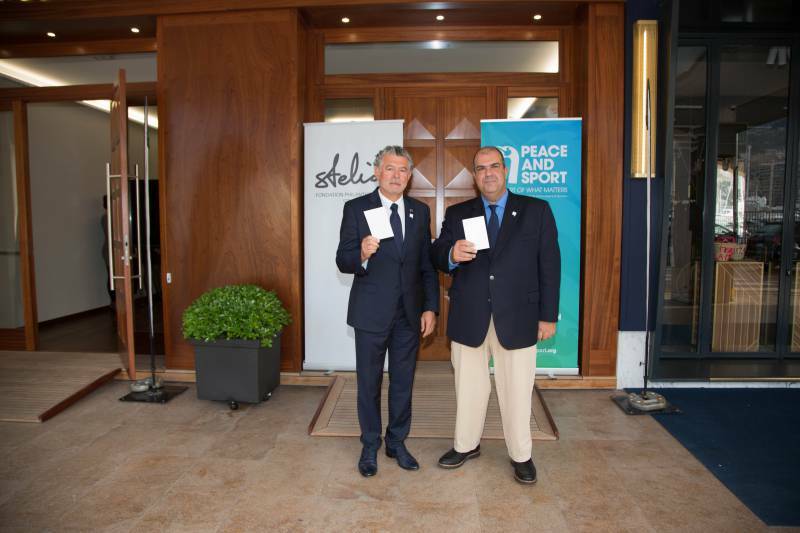 Within this context, Peace and Sport joined Stelios Philanthropic Foundation, a major international institution to support peace, human coexistence, respect of the environment and education. 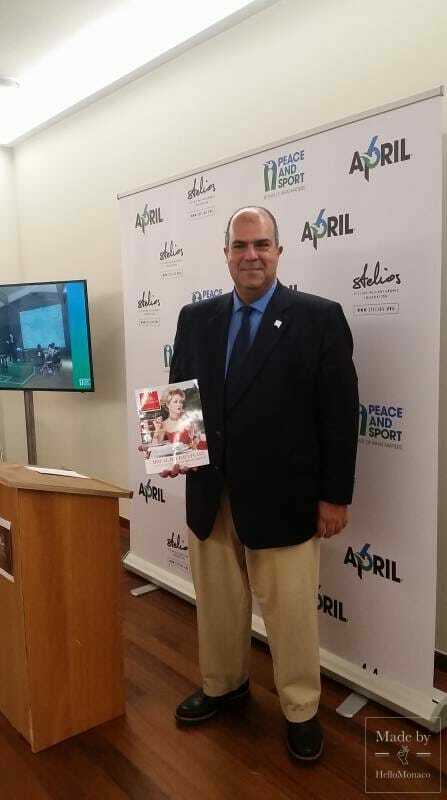 Thus, a special meeting named “Sport for Bi-Communal Dialogue” was held last Wednesday, the 10th April 2019, at the new Monegasque headquarters of Stelios Foundation located at Quai Antoine 1er. That was a unique opportunity to disseminate the outstanding results of the “Friendly Football Day”, a ‘historical’ football match played on the 19th March 2019 in Pyla (Larnaca district, Cyprus) gathering the Greek Cypriot ‘Nea Salamina’ and Turkish Cypriot ‘Mağusa Türk Gücü’ football clubs in mixed-up teams to strengthen human contacts from a different cultural heritage. “At the beginning, it was a very strange feeling to play with people never met before; then, we all enjoyed the football match a lot in an extremely sociable environment thanks to best sport values”, highlighted Tim, athlete from Nea Salamina. “That was a fantastic day proving that sport is a universal language that everybody can speak and understand”, underlined Erinc, MTG athlete. To underline the importance of that event, H.S.H. the Sovereign Prince, distinguished Monegasque authorities and the Champions for Peace, Marlène Harnois and Adrien Maré, attended the meeting to testify their efforts for peace by showing a “Carton Blanc”, being inspired by the photographer Maud Bernos’ same symbolic gesture. 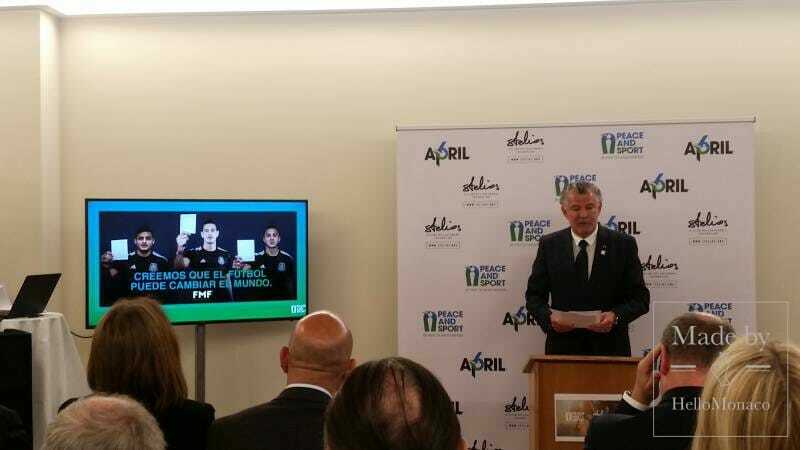 “White card” against “red card” like purity and peace against referees’ ban for serious sport violations. But what really means joining forces to fulfil humanitarian concrete actions? HelloMonaco asked Sir Stelios Haji-Ioannou (S.H-J), founder of Stelios Philanthropic Foundation helping a large number of troubled communities to survive and express their talent. HelloMonaco: Sir Stelios, your Foundation is specifically committed to a variety of benevolent actions, what is for you pushing big-hearted projects? S.H-J: I think that everybody, who was able to raise an amount of money in his life, has a duty to give it back to society. I consider myself lucky, I inherited from my father, owner of a shipping company, and then I could create something valuable as EasyJet®. When I became forty, I basically decided to create a Foundation with the specific objective of helping people both in the Principality and in other meaningful spots for me, that is Greece, where I was born, Cyprus, where my parents come from, and the United Kingdom where the business is based. In these four Countries we are supporting different activities. Today, we are focused on Cyprus with a direct connection to the Principality that allows us to cooperate with Monegasque and Cypriot organizations and institutions at the same time. Two relatively small Countries located in the Mediterranean Basin with my link as Honorary Consul of Cyprus in Monaco. The Cypriot territory is divided into two parts as a result of a sad story. There was a war in 1974 followed by a state of apparent peace unlike the Middle East. All that still creates barriers which recall us the check point Charlie in Berlin and divisions between North and South Chorea. For the last eleven years I have been working to bring the two communities together. I do believe they both belong to the same land and they should communicate as friends. I am not talking from a political point of view since it is not my job. I am sure, however, that a mutual better understanding is a crucial step to guarantee peace and for that cause I have given a lot of money so far. HelloMonaco: How do you feel today celebrating this special occasion? S.H-J: I am honoured to cooperate with Peace and Sport that I consider a brilliant organization, supported by the Sovereign Prince and renowned Monegasque institutions that are using sport to promote peace. After a couple of years of partnership, last month we were in Cyprus to attend a friendly Bi-communal Football Match we organized. They played for half an hour one against the other and then they created mixed teams and had fun. What impressed me about sport, and football in particular, is how you can communicate with an increasing number of people of different age and background. It is difficult to find something more exciting than having the former footballer Didier Drogba (Vice President of Peace and Sport) as a guest of honour, able to gather around 1,000 Cypriot citizens and catalyse Media. Sport is a very powerful peace-oriented tool and top business partners were the first to support this idea in Cyprus. HelloMonaco: Among your solidarity actions, which one do you consider the most urgent? S.H-J: When we talk about emergency, besides Cyprus, I definitely refer to our program working in Greece called “Food from the heart” in which we feed 200 thousand people a month. If you are willing to stand and queue for a long time to receive a few complimentary snack bars we provide, it means the situation is difficult both for Greeks suffering from a severe crisis and for immigrants. They are all human beings who need our help. And what about Peace and Sport point of view? 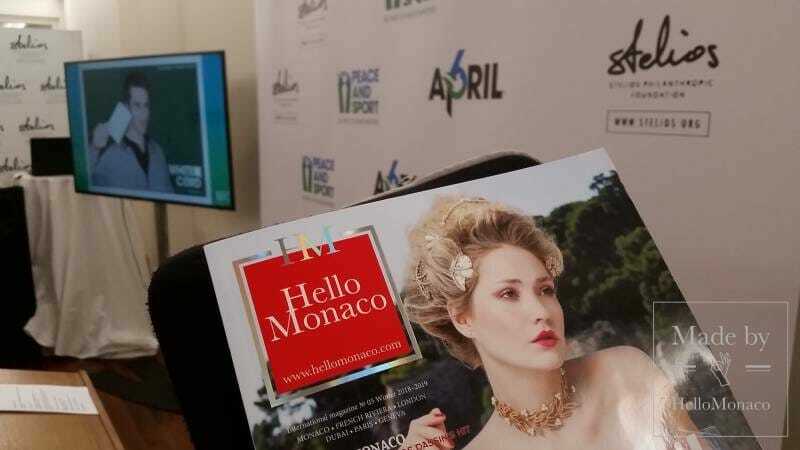 HelloMonaco asked Joël Bouzou (J.B.), its founder and president. HelloMonaco: Mr Bouzou, what impressed you most about the Bi-communal Match? J.B.: It was for sure the enthusiasm of all people taking part to that sport event putting two social identities together, symbol of mutual acceptance as pointed out by both football club presidents. 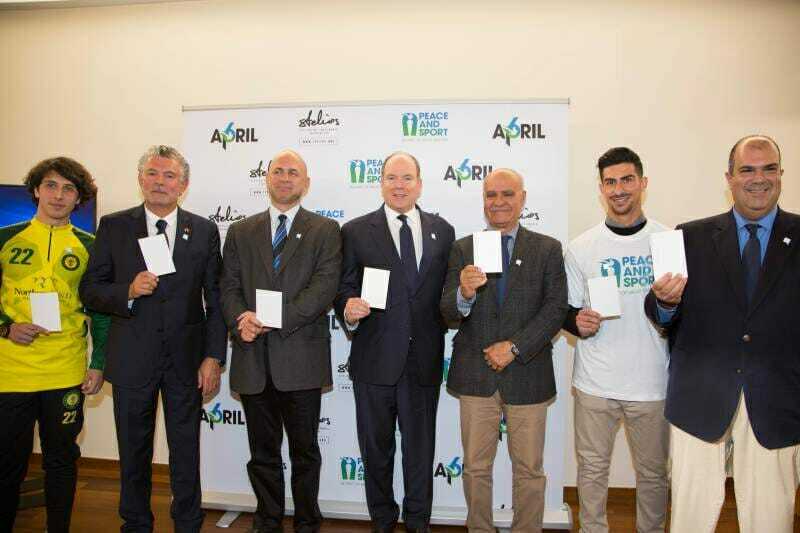 The neutrality of sport was highlighted by the spontaneous participation of the audience to the #WhiteCard campaign 2019 involving already 80 million fans on Social Media. 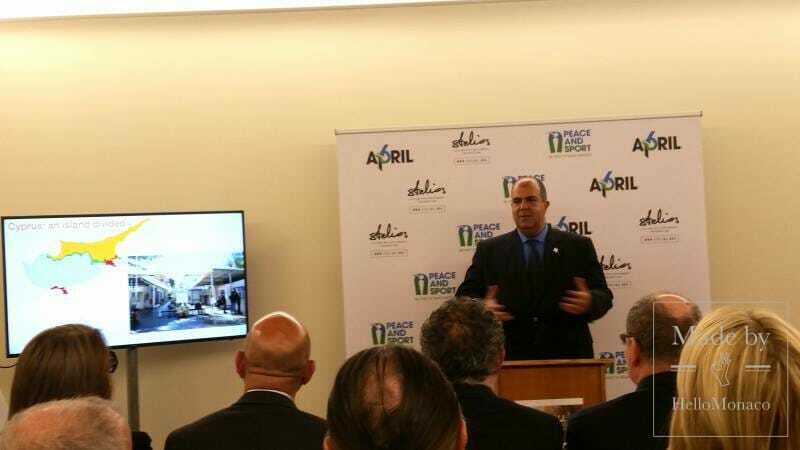 We are planning more than one thousand similar events around the World to reaffirm that sport counts as a peacemaker.